Summer is just around the corner, apparently. So with the weather heating up at home or abroad you’ll be wanting to raise up those sleeves. Whether you’re keeping it strictly casual or making a style statement check out our guide below to the five best ways to raise your fashion game when it comes to your cuffs. But when to roll? That’s the question. Old school sartorialism argues that you should roll up your sleeves due to temperature, practical necessity (i.e. don’t stain your cuffs) or if you’re deliberately trying to look relaxed. It’s important to remember, don’t suffer with your sleeves down in the office because you think it makes you look sharp or your boss is watching. 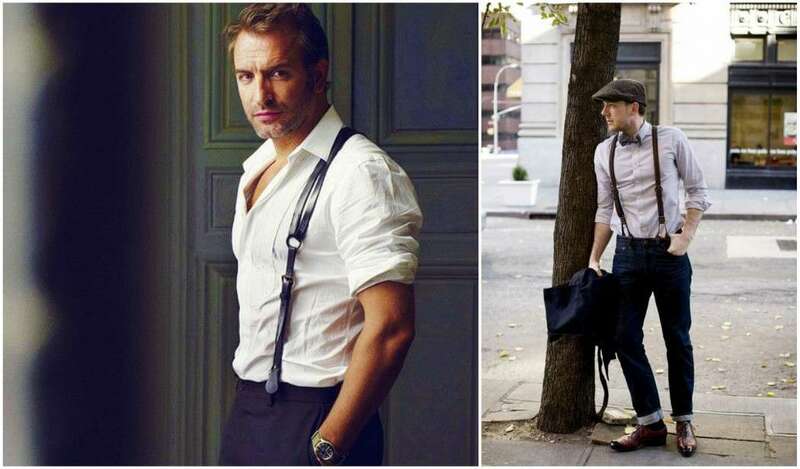 Combined with a bit of confidence the looks below will show you how to roll shirt sleeves in all manner of situations, not just on a Friday afternoon. Now, there is more than one way to rolling up your sleeves you might be surprised to hear. We are going to talk you through step-by-step the 5 techniques so you'll never be lost with messy cuffs. You’ve probably done this before without even thinking about it but even with this casual style has a method. This look takes the cuff over the elbow so remember it’s important to match the shirt with the roll-up style. If you’re wearing something more fitted you might find this look a little restricted and you should slide down to the next style. Fans of not cutting off circulation take note. Here’s how you style the classic shirt sleeve roll. Use the cuffs as a measuring point, unbutton and fold it once. Continue to repeat the first step, pull the fabric taut to make sure it is smooth and straight. Keep on rolling until you go past the elbow. If you’re a fan of photography and design you’ll know all about the rule of thirds. If you don’t, never mind you can look it up once you’ve sorted out your cuffs. You might have heard this roll referred to as the “AIFA” but essentially it unveils only a third of your arm. This makes it perfect for more fitted shirts and gives you a more purposeful casual style than the classic. A little more relaxation than ready for action. Off you go. As always, unbutton the cuff and any gauntlet buttons further up the sleeve. Using the cuff as the measuring point, we simply roll the sleeve over itself 1-2 times, stopping below the elbow. Right pay attention because this one works in a few ways. You can keep it super neat and military as the name would suggest or you can adopt an approach more akin to the ‘classic’ style above and keep it nice and loose. This look is definitely suited to those with a more individual style. We’re rolling way up to the bicep here so think vintage barber look rather than commando accountant here. Try it with a slim fitting white shirt for a sharp retro look but conversely you can also use a loose-fitting vintage patterned shirt for a twist on the same retro vibe, just a little more rock and roll. Flatten out the freshly ironed sleeve on a steady surface. Bend the sleeve upward at the cuff and fold until it’s inside out. Straighten up the bottom and top of the cuff. Keep it neat, no wrinkles. Bend the full cuff up again, as you did at the start. Some refer to this roll as the Italian. We prefer not to stereotype. If you’re shirt’s cuffs have a patterned interior that you want to show off this is the roll for you. Your mind has probably gone to an image of Paul Hollywood but don’t worry, this isn’t a lame natty cuff turn up to show off your Liberty print. Begin as always with both cuff buttons unbuttoned. Fold the sleeve up, from an inch or so past your elbow. Fold up the sleeve to just below the end of the cuff. You want about a third of the cuff, and that nice pattern to be visible. Finally, another vintage look and one that requires a little bit of apparatus. 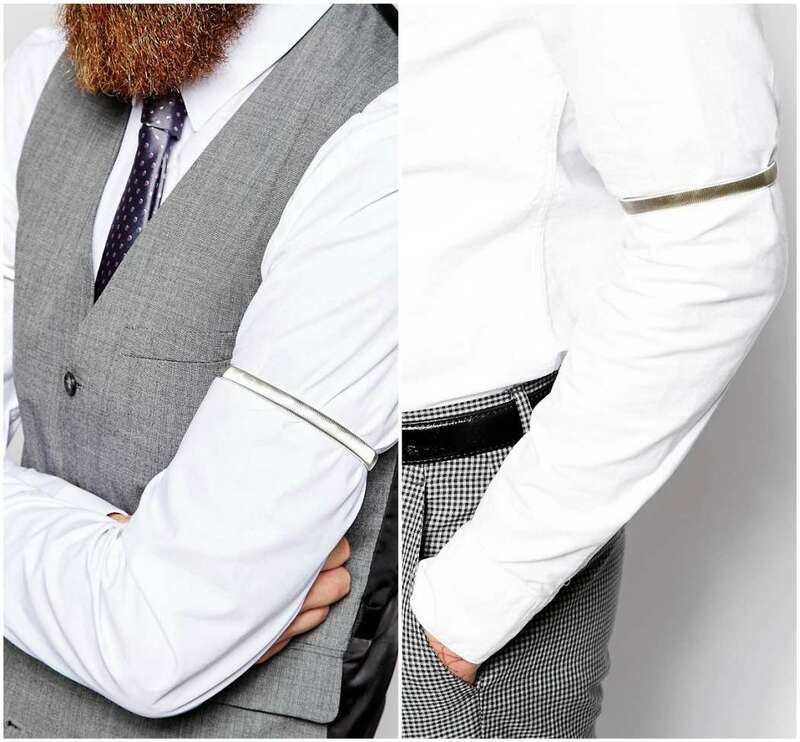 You’re going to need to get yourself a pair of sleeve bands or sleeve garters. 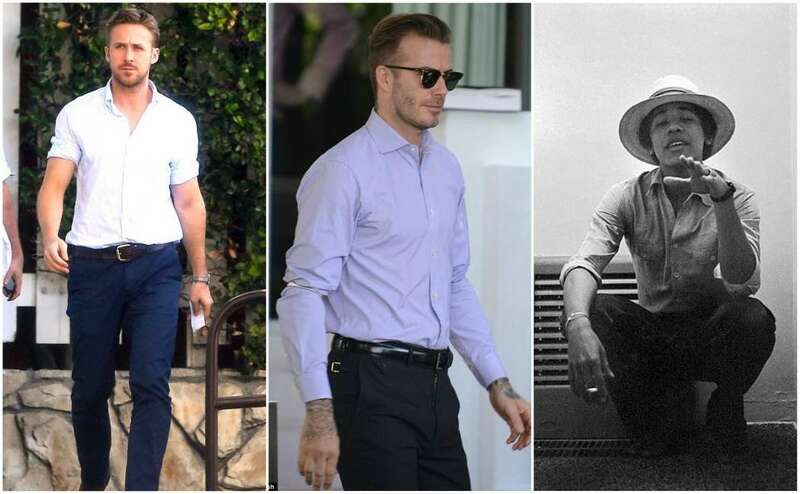 The style has gained a resurgent following recently due to David Beckham's penchant for a garter and like the ‘Marine’ look above has become a mainstay in retro styling. Secure the upper part of your sleeve using a sleeve band/garter. Pull the shirt up few inches to conceal the sleeve band underneath the folds of the shirt. You can also try combining the ‘Master’ roll with this look. Now there isn't specific rules to rolling up your sleeves to accommodate for a dress shirt. 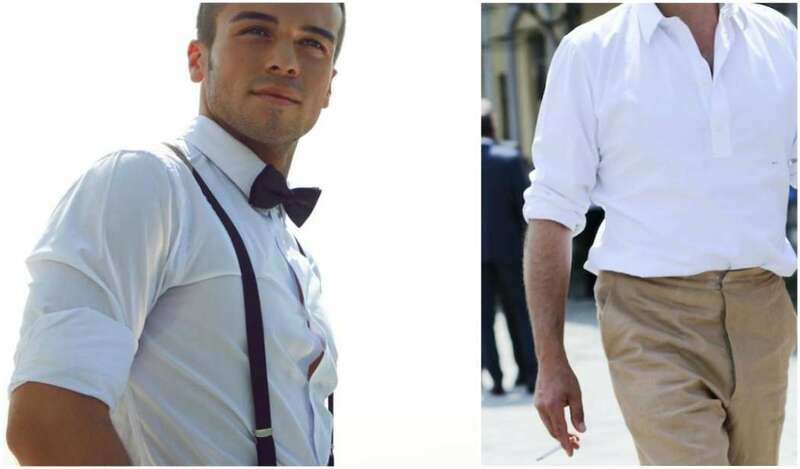 However, there are a few rules you need to follow to make sure you look more on the classy side rather than scruffy. Think about the occasion, this will determine how high to roll you sleeves. Ok so we don’t all have biceps as big as Brussels but if you’re worried about looking weedy with your shirt sleeves rolled up don’t be. It’s all about proportion and balance. Find shirts that fit you and compliment your physique. For example, a shorter man should seek out a shirt with smaller cuffs and thinner sleeves. Choose a sleeve roll that sits below your elbow. You will draw attention to your forearms which will generally be closer to an average size across all men. Keep those folds tight when rolling. A loose sleeve roll around smaller biceps will only draw attention further and make the shirt look ill-fitted. 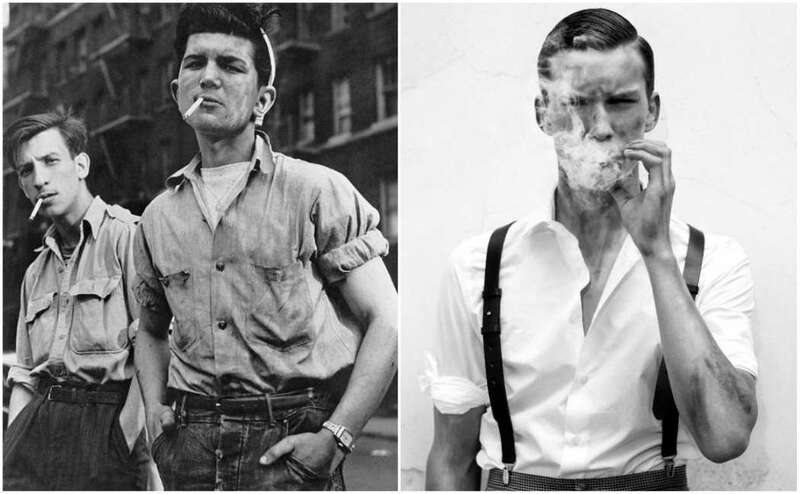 As if you didn’t already have enough inspiration for rolling your shirt sleeves, let’s take a look at some of the most famous sleeve rollers and how they carry off the look. First up it’s dependable old Gosling. Always nailing that simple no-nonsense look with aplomb he’s a huge fan of the high rolled ‘Marine’ style as outlined above. 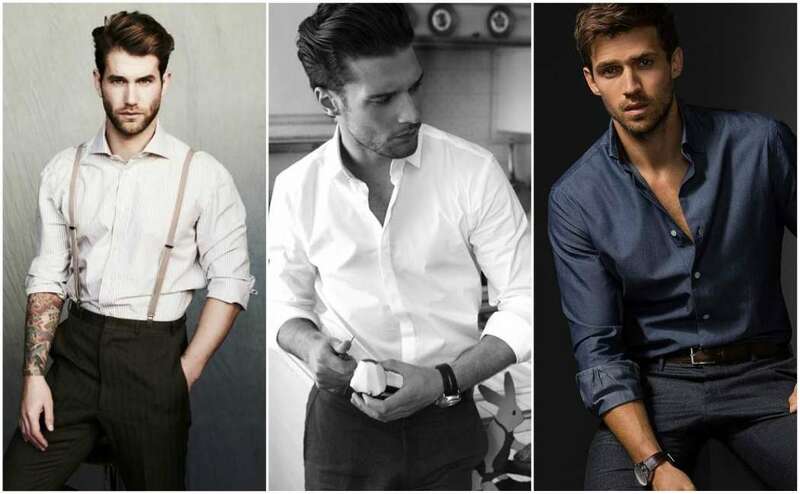 From casual to dress shirts and even with t-shirts you can expect to see Ryan rolling up those sleeves to the bicep. Another vintage style now and it’s David Beckham, another perennial style superstar who has brought the sleeve garter look back into the mainstream. Proving that you don’t have to be a moustache curling, steampunk aficionado to pull off this look Goldenballs goes for a paired down style, keeping it simple as with Ryan above. It does help to have a cheeky sleeve tattoo poking out from underneath your raised cuff though to add a little bit of extra flair. Need something a little more formal – how about POTUS? The Commander-in-Chief styles the rule of thirds look like a pro, making business time look good for anyone out of ideas when it comes to question of how to roll dress shirt sleeves. The summer fashion week season well and truly upon us and if you're looking to get papped and snapped at shows or just want to turn some heads with some classic styling, then look at these street styles of men about town that have the whole rolled sleeves trend down to a T.
Try keeping the look super casual with a denim or plaid wool open shirt rolled up nice and loose with a logo or plain tee underneath. Keep your collar open and rock some shorts for a real summer look. But if you want to stay a little bit slicker wear your shirt tucked in with a pair of skinny jeans or tapered trousers and roll those sleeves way up to the tops of your arms. Rolled Up Sleeves - What to Pair? A great addition to any man's wardrobe as part of a three-piece-suit or without the jacket just paired with a shirt. 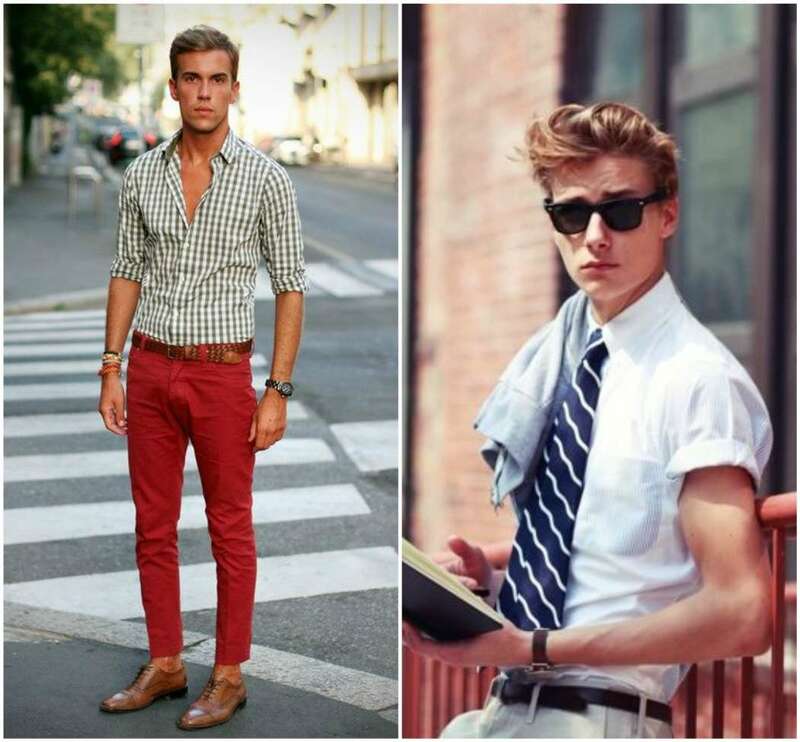 You choose the type of shirt; dress, collarless, casual oxford it's up to you. Go for a rolled style that takes your cuffs up to your elbows. Nice and loose. 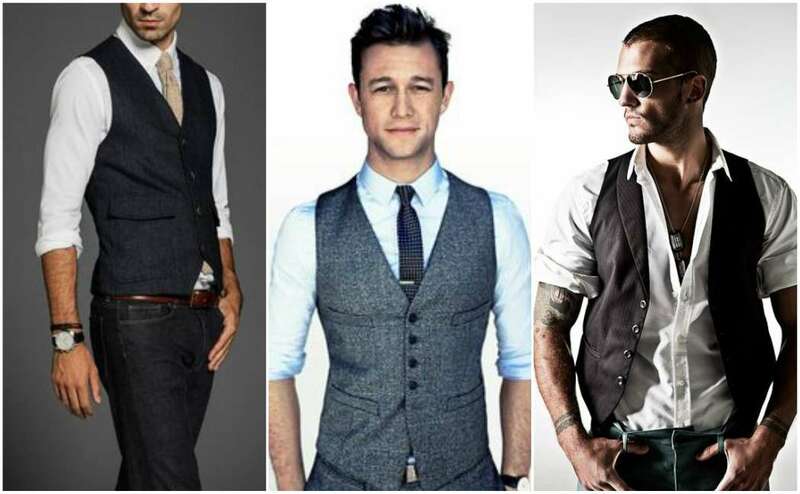 Button up the waistcoat of leave it nice and loose it's up to you. Another vintage look and one that will make you look like you've stepped out of the set of Peaky Blinders or off the stage with Hurts depending on your choice of headgear or haircut. Make sure your choice of trousers is spot on to match your braces as well as your shirt and brace colour combinations. Try sticking with a white shirt for a simple, classic look. The rule of thirds sleeve roll is perfect here for a loose artistic style but equally you can roll nice and high to achieve that vintage look, try pairing with a bandana scarf and grow out your moustache for a seminal mid-twentieth century vibe. The key here is not look like a schoolboy. Though if that's your bag we'd recommend trying a sleeveless sweater. 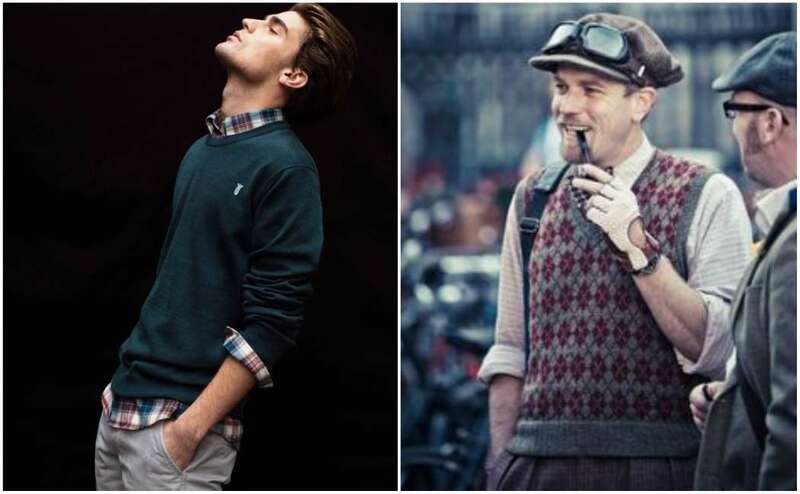 Don't let Chandler Bing have all the fun, you can look like an evacuee and achieve a preppy nineties vibe all at the same time. If you've opted for long sleeves just apply a simple rule of thirds roll over the cuffs of your chosen sweater. We suggest something light and cashmere in this weather but the look can be equally as effective if you thicken up both the shirt and the jumper. Don Johnson trademarked this look in the eighties and sure it's definitely one for the bold but not impossible. Try picking out a slightly larger jacket not only to achieve the boxy style of the decade but it will make the roll easier. 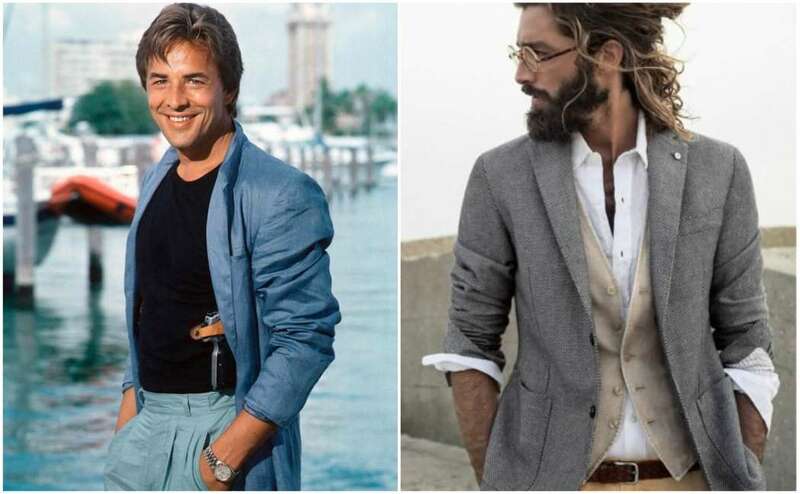 Shirt-wise you have a few options to choose from with either a simple pastel shade that's pure Miami Vice or perhaps something a little louder. Roll your shirt cuff over your jacket cuff and slide above your elbow. Hopefully it should stay in place but continually pushing it back up is kind of the look too. Don’t wear rolled sleeves under a jacket. We want to see those cuffs! That about wraps it up then, or folds it up. 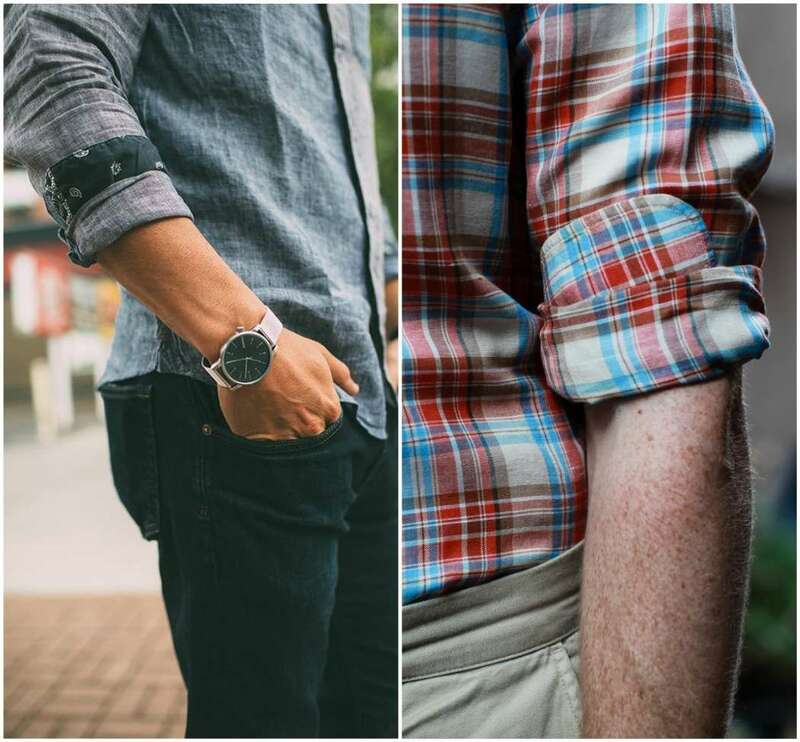 Either way you’ve got five ways to roll up your sleeves and if you can’t decide which one to use...maybe just wear a short sleeved shirt and save yourself the hassle entirely.